I have fine hair and have always had difficulty holding a nice style. 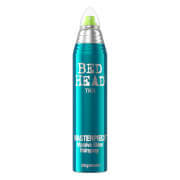 I have been using Tigi Hairspray for years now. I have used many brands over the years and they are usually too soft a hold and don't manage weather or lifestyle problems. 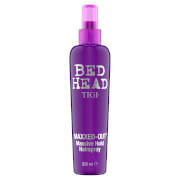 NOT TIGI - I do my hair in the morning and have no need to touch it again all day. If the weather blows it a bit I just ruffle the hair and it falls back into place. I can give it a respray if I'm going out in the evening. It will even hold overnight with little maintenance. 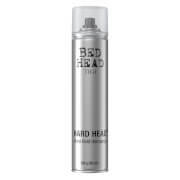 I fully recommend this product for lasting hair styling.